ICTU is hosting a briefing concerning the situation for trade unionists in Palestine with distinguished academic Dr Amjad Barham at 3.30pm on Tuesday 19th May 2017. 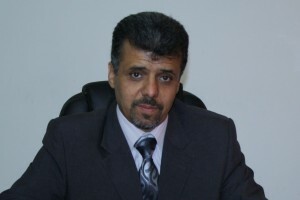 Dr. Amjad is President of the Palestinian Federation of Unions professors and employees since 2007, the vice president of Palestine Polytechnic University for Administration and financial issues, Professor applied Mathematics and . Dr. Amjad received his Ph.D from Rajasthan University, India in applied Mathematics. Having experience in teaching and management for a long period of time in Palestine Polytechnic University, Dr. Amjad was elected as President of the Palestinian Federation of Unions professors and employees in Palestine. Dr. Amjad is committed to the human rights efforts in general and in the Palestinian context in particular. The advocacy efforts done over the years by the union team focused on engaging the Ministry of Higher Education and Government to fulfill its responsibilities towards Higher Education in Palestine . The main achievements fulfilled for the professors focused on modification of the admin law, raising the salaries and include the professors and employees in the government retirement law. Dr. Amjad was raised in Palestine in the Jordan Valley area in Tubas. He is married and a father for 4 children, 2 boys and 2 girls.